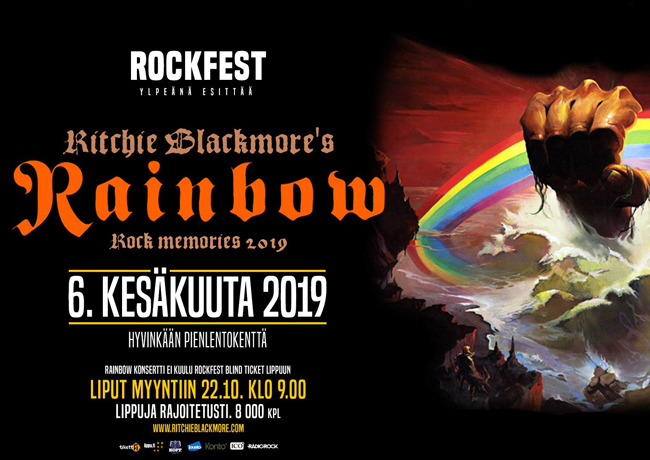 This ticket allows general access to Opening Concert: Ritchie Blackmore’s Rainbow on 6th June 2019. This ticket allows VIP access to Opening Concert: Ritchie Blackmore’s Rainbow on 6th June 2019. VIP ticket benefits include: VIP-access point/fast-lane to the festival area, exclusive VIP-toilets and bar area. Opening this year's Rock Fest is a true hard rock pioneer: Ritchie Blackmore. With the main festival getting underway on the Friday, this is for those who want to get the party started a day early. A founding member of the Rock and Roll Hall of Fame band Deep Purple, Blackmore has never been satisfied with resting on his laurels, moving on from Deep Purple and founding the genre bending group Rainbow in 1975 as well as the folk project Blackmore's Night in 1997.